The first preliminary check-up of coding skills will be held online on 20 April 2008. The best three coders will travel to the best JAVA conference in Europe, 23 June, Zurich, Switzerland. 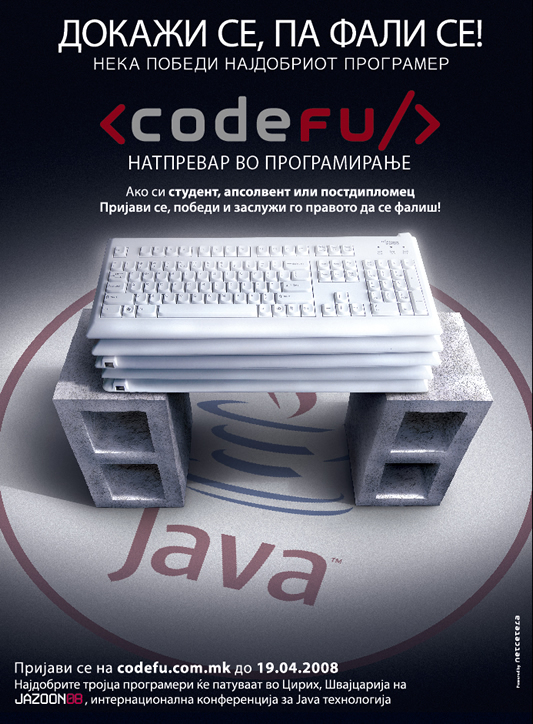 The CodeFu 2008 Final round has finished, the official results are available here.